What happens when an entire community is moved? Dakota Crescent was one of Singapore's oldest public housing estates and a rental flat neighbourhood for low-income households. In 2016, its residents—many of whom are elderly—were relocated to Cassia Crescent to make way for redevelopment. But the process of relocation did not end with the physical move, and the conversation on why relocation should matter to all of us has only just begun. Join us for the book launch of They Told Us to Move: Dakota—Cassia which tells the story of relocation through the eyes of Dakota residents, volunteers and academics, edited by Ng Kok Hoe (Lee Kuan Yew School of Public Policy) and the Cassia Resettlement Team (CRT). In the spirit of the book, the launch will feature a dialogue with the former residents of Dakota Crescent followed by a panel with the editors, moderated by Ng Bee Leng. The panel will extend the conversation of relocation to issues including gender, ageing, health, and poverty, and the question of how we can design social services that work. 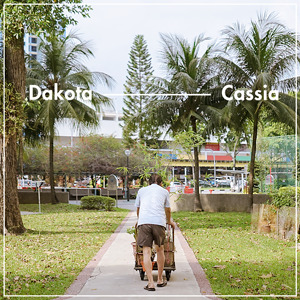 They Told Us to Move: Dakota—Cassia tells the story of relocation through a three-part conversation, involving (1) interviews with the residents (2) reflections by the volunteers of CRT who have helped them with resettlement, and (3) essays from academics. Together, they draw out the complex issues underpinning each story, including urban planning; gender and family; community development and participation; ageing, poverty, and social services; civil society and citizenship; and architectural heritage and place-making. The book explores human stories of devotion, expectation, and remembrance. It asks what we can achieve through voluntary action and how we can balance self-reliance and public services. This book is for people who want to understand the kind of society we are, and question what kind of society we want to be. Ng Kok Hoe received his PhD in Social Policy from the London School of Economics and Political Science where he was a UK Commonwealth Scholar and won the Titmuss Prize. He is Assistant Professor at the Lee Kuan Yew School of Public Policy and was formerly from the civil service. Kok Hoe's research investigates Singapore's public housing policy, homelessness, and income security for elderly people. His past projects include studies commissioned by the government, local NGOs, and UN-Habitat. He shares his findings through public talks and commentaries in the hope that policy research will inform understanding, facilitate participation, and serve wider public interest. When they saw that the new residents of Cassia Crescent needed help resettling into their new homes after their relocation, a group of volunteers came together to form the Cassia Resettlement Team. Till today, they continue to grow friendships through regular house visits, and meet residents' needs by complementing them with a wide range of community stakeholders.